Over the past years, the outdoor films and sports highlight shows we made have truly reached a global audience. Some were broadcast in 190 countries and translated in up to 50 languages. It feels special when you turn on the TV and see your own content on the screen or when you receive messages from friends around the world who have watched a show about your event during their holidays or on a business trip. 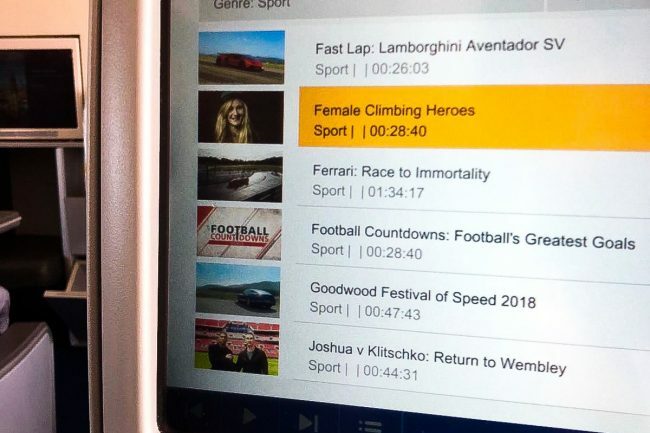 The one situation we enjoy the most, however, is sitting in a plane and watching our own TV show in the inflight entertainment program, listed between football and motorsports. 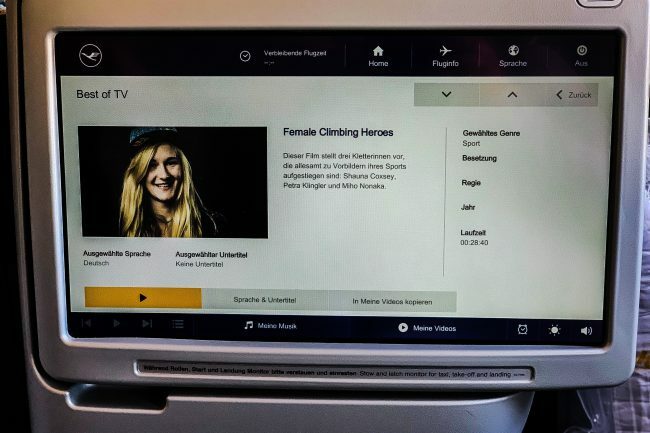 Considering the multitude of choices airlines have these days, it’s quite flattering that for example Lufthansa has already included four of our films in their inflight entertainment program: Nyami Nyami – Highline Across The Victoria Falls, adidas ROCKSTARS, Dare To Live Your Dream – One Year In The Life Of Climber Fabian Buhl, and Female Climbing Heroes portraying Shauna Coxsey, Petra Klingler, and Miho Nonaka. The latter is still on until March 2019. You can find it in the SPORTS section under TV programs. What is special for us as producer, editor and director, is almost surreal for the athletes who get to watch themselves up in the air. 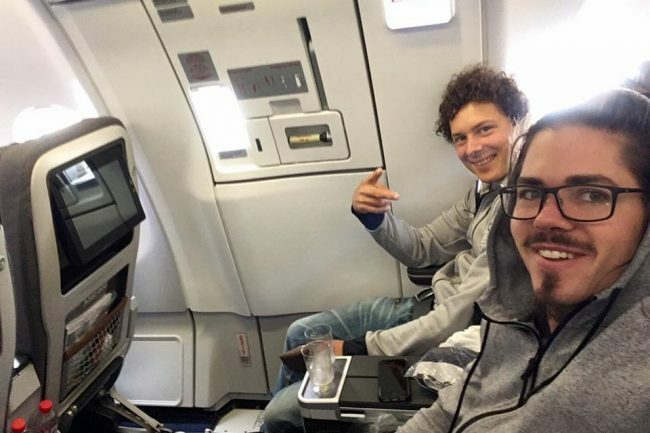 Fabian Buhl made that experience on a Lufthansa flight from China and realized how many people around him actually watched his film and then recognized him. 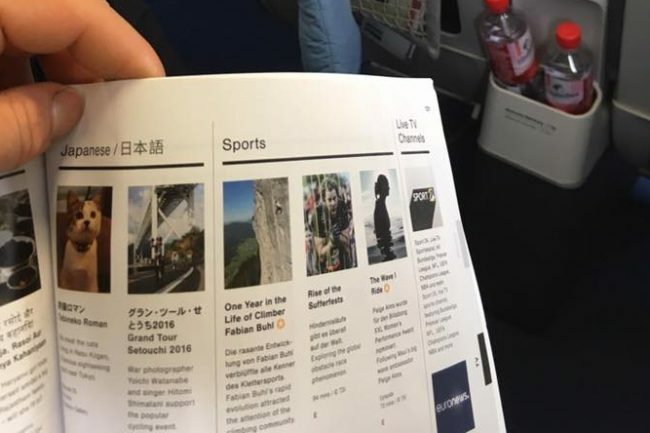 Same for mountain bike pro Andrew Taylor whose Alaska Road Trip was broadcast on United Airlines flights. It has always been our mission to put the outdoor athletes and niche sports we work for in the limelight and on a global stage. Sound media coverage can make such a difference in an athlete’s career. And whenever journalists, newsroom editors, or program directors consider our content worthy for broadcast, if feels like we are getting a step ahead in accomplishing this goal. Of course, we could have never achieved this global spread without the dedicated team of our distribution partner quattro media. Thank you for the past 15 years!